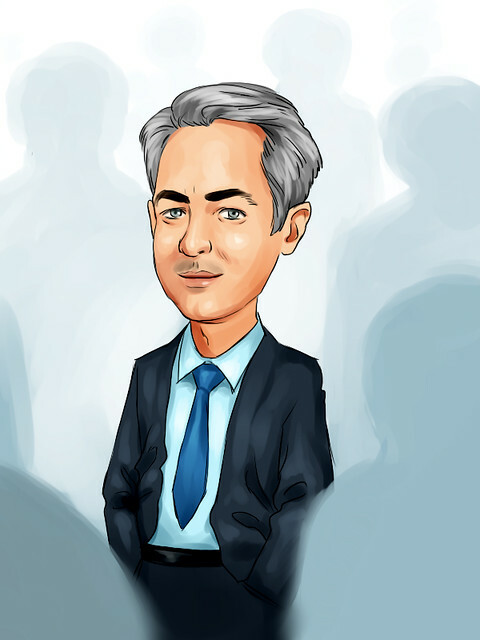 One of our favorite investors at The Acquirer’s Multiple is David Einhorn. One of the best Einhorn interviews was one he did with Value Investor Insight in which he discussed his investing strategy, how he modified the traditional value investing process to achieve outperformance, and the one rule of investing that has served him well. You’ve said your investing style differs somewhat from that of traditional value investors. How so? David Einhorn: We take the traditional value investor’s process and just flip it around a little bit. The traditional value investor asks “Is this cheap?” and then “Why is it cheap?” We start by identifying a reason something might be mispriced, and then if we find a reason why something is likely mispriced, then we make a determination whether it’s cheap. DE: If you’re looking for something that’s cheap, you’ll probably do a variety of screens – on price-to-sales, price-to earnings, price-to-book, whatever – to identify stocks that appear to be inexpensive. Once you have that list, then you start to research if there are good reasons the stocks deserve to be cheap, or if maybe there’s an investment opportunity because they’re cheap without a good reason. We think that’s the way most value investors approach it. We never do screens like that. We start by identifying situations in which there is a reason why something might be misunderstood or mispriced, why it’s likely investors will not have correctly figured out what’s going on. Then we do the more traditional work to confirm whether, in fact, there’s an attractive investment to make. So you’re often looking for special situations – a spin-off, or a post-bankruptcy, say, where mispricings can be common? DE: Basically, yes. It happens routinely [in such situations] that the historical performance of a company doesn’t give a particularly good view of what prospective performance of the business is likely to be. It may be due to how the performance had been reported when a now-independent business was part of a larger company. It may be that strategies or capabilities have changed in ways that aren’t immediately apparent. We also find opportunities when there is a large upheaval or rejection of a particular company – or sometimes an entire industry – for reasons that are obviously just plain old cyclical or otherwise based on what the investment fashion of the moment is. An example: Investors in retail companies are very focused on monthly comparable-store sales, particularly during the holiday season. It seems like at least every other year, particularly in January, we’re able to find a retailer that we really like that had negative comparable-store sales during Christmas and the stock trades down to seven or eight times earnings. The company has a clean balance sheet and it’s a nice ongoing franchise. We have no idea how the next Christmas will go, but if it goes okay, the earnings will be higher and we will then get a much better multiple on those earnings. We’ve been through that before with Circuit City and Foot Locker. You tend to make a few very big investment bets, why? DE: We believe in constructing the portfolio so that we put our biggest amount of money in our highest-conviction idea, and then we view the other ideas relative to that. We find things that we think are exceptional only occasionally. So if we find something that is really set up, where we think it’s mispriced, where we have a good understanding of why it’s mispriced, where we think the mispricing is very large and the overall risk is very small, we take an outsized position to make sure we give ourselves the chance to be well compensated for getting it right. You’ve also developed a reputation as somewhat of an activist investor. Is that part of your strategy? DE: Activism for us is Plan B. In cases where we’ve been activists, we’ve generally been passive investors for a good period of time first. But while it isn’t our goal, when something goes seriously awry, we won’t hesitate to try to effect change when we feel it better protects the interest of the partnership than exiting. Look at a few of the situations for which we’re most known for being active: Mercer International we held for five or six years before we had our proxy fight. MI Developments we held for more than a year before we felt they went off course and we had to start trying to protect value there. In all these cases, the day we bought the shares we had no plan to be anything other than passive, happy investors. Many value investors avoid financial stocks, fearful that they’re more subject to being black boxes? Does that concern you? We’ve done well over the years in property/casualty insurance companies, for example. It’s a lot of work, but you can get the statutory filings, and you can look at the claims experience, and you can look at the loss reserves and how they have been developing over time. Maybe a lot of investors don’t take the time to do this or don’t know exactly what they’re looking for, but we’re pretty comfortable estimating how the reserves should look. Sometimes we can find something that is unusually conservatively reserved, or aggressively reserved, and we can make an investment accordingly. It’s similar with companies that do a lot of securitizations. We can get the securitization data, and see the prepayments and loss experience on a pool-by-pool or securitization-by-securitization basis. We can see how companies are actually doing versus their assumptions or versus what the market thinks, and sometimes we can find a real disconnect. If we do, there’s often a real opportunity to make a good investment, either long or short. Does instinct play much of a role in your decision-making process? DE: Sometimes. As our positions have gotten larger, we often find ourselves in situations where we can’t trade out of positions quickly. There have been cases where we own, say, one million shares and we think we want to sell, but we can only sell 25,000 shares right away. You could say “why bother, it’s only 25,000 shares.” But our feeling is that’s silly – it might only help solve 2.5% of the problem, but the problem is now 2.5% smaller than it was. We also find that as you begin to exit a position, sometimes the stomach tells us whether we want to keep going, accelerate, or whether it isn’t really necessary. Another thing we do is when management really makes us angry, we put the file in a drawer for a while and just don’t do anything. We try not to sell just because we’re angry. We have a large position in a company we’ve had for a long time, and there have been a lot of times when the CEO has said or done things that got under our skin. The natural reaction would be to just sell the stock and move on, but if we had reacted in that emotional way, it would have cost us a lot of money. If you sell when you’re angry, you can imagine everybody else who sells that way reaches the point of exasperation at exactly the same time. That’s the kind of thing that creates at least a trading bottom. Better to sit on it for some time, and even if you still hate what the company’s doing, you’re probably going to get a better chance to get out. DE: Maybe one thing I didn’t mention earlier. We try not to have many investing “rules,” but there is one that has served us well: If we decide we were wrong about something, in terms of why we did it, we exit, period. We never invent new reasons to continue with a position when the original reasons are no longer available. You can read the entire interview at Value Investor Insight here.